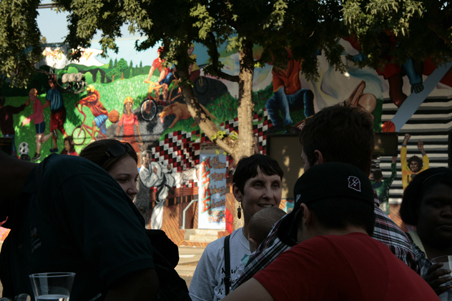 Cheryl Neal (center) celebrates the completion of the MIKE Mural Project in Portland, Oregon.  Coming: Health Care in the U.S. The physical and mental wellness of any society begins with the individual, but ends with business, governement, education and the medical community. As disease and conflict continue to target humankind, the world is looking to find new ways of countering those effects. Human beings are not easily fixed.